Mudbusters Carwash Company is a self-service car wash offering automatic touch free car washing, where damage is virtually eliminated, since only gentle presoak, wax, and water, touch your vehicle. 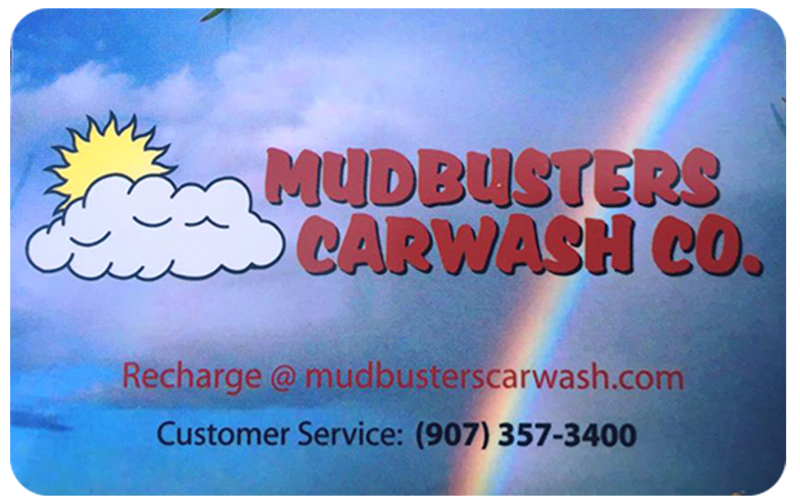 Mudbusters Carwash NOW has four self service car wash locations. In the self-serve, you have the equipment and products to clean any vehicle. We have Mutt-Busters! A self-service Dog wash which can be located at 2 different location! Next to Key Bank, just off the Parks Hwy. Our new wash! Across from Spenard Building Supply. Mudbusters Carwash Company is a local Alaskan, family owned business that provides, a clean facility with quality, well-maintained equipment. We provide the tools and car wash products for Alaskans, tourists, and visitors to keep their vehicles, big boy toys, and equipment both clean and protected. Get our Value Card Today!